Irma takes the path that we AccuWeather meteorologists are forecasting. Please see the updated information here. The purpose of description is to help you visualize what is likely to occur and help to explain why you do not want to be in Irma's path when it does. A "spaghetti" plot of various models' forecast path of Irma. For illustration purposes only, actual forecast below. The first thing we need to worry about is when Irma makes a turn to the north after days of moving toward the west northwest. As meteorologist Pam Knox put it on Facebook this morning, "Meteorologists waiting for The Turn is like being on the Titanic and seeing the iceberg in the distance." 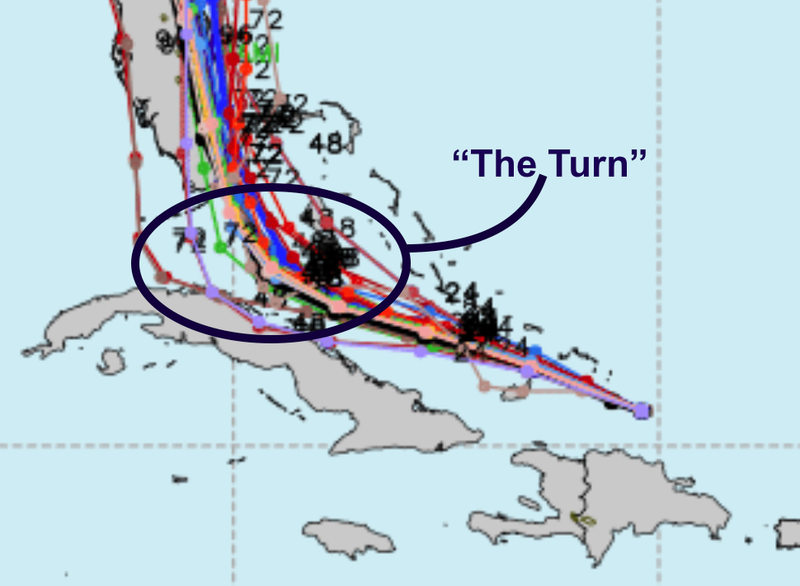 If the turn occurs early, the damage will be less because of the worst of Irma's effects missing south Florida. A later turn and it could be a catastrophe. The latest forecast from the National Hurricane Center has been nudged a bit west and it essentially agrees with AccuWeather's. National Hurricane Center's forecast for Irma. M=major hurricane. Pink = hurricane watch. Red = hurricane warning. AccuWeather's forecast with wind categories included. 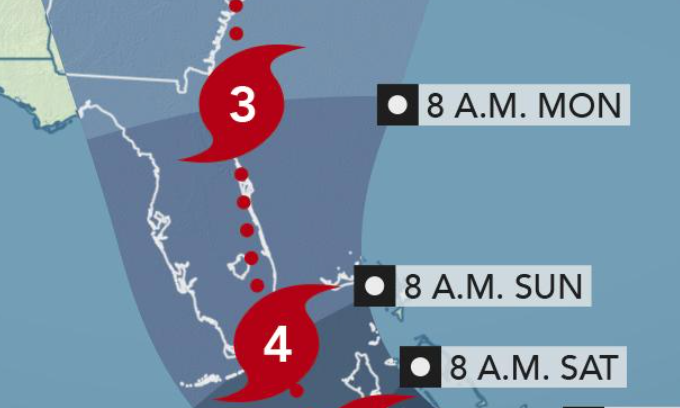 Both forecasts are essentially the same worst case scenario for south Florida. They form the basis for my outline below. Assume you are on Miami Beach. The winds will begin to freshen from the east throughout the day, increasing in the afternoon. By evening, winds will be from the east gusting to 60 mph with seas rising both along the beach and the Intracoastal. Winds will rapidly increase from the east. By sunrise, winds will be gusting over 100 mph. In the spaces between tall buildings, there could be gusts above 120 mph! Winds and waves may reach 10 ft above sea level by sunrise. 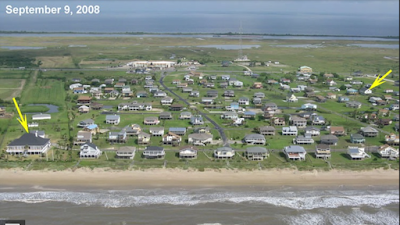 High tide is 11:08pm which will complicate forecasting the water height. The winds around sunrise should look something like the beginning of this video taken earlier along Irma's path. You do not want to be there! 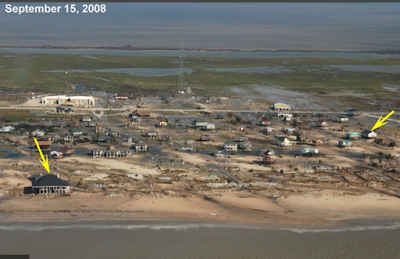 This is what a storm surge looks like. You do not want to be there when it occurs! The winds will gradually back from the east to the south. Gusts to 150 mph are possible. 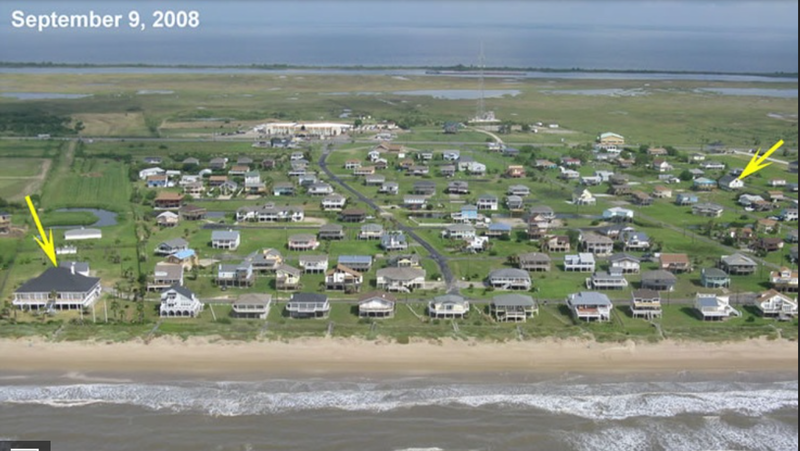 While no two are exactly alike, the storm surge may produce damage something like Hurricane Ike's on the Bolivar Peninsula. 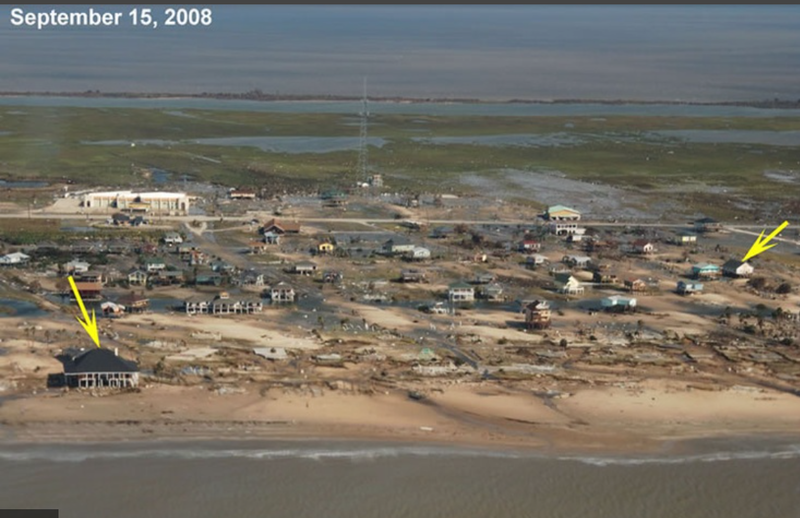 The storm surge, which has the potential to produce waves to 20'+, could be devastating. The storm is forecast to move more or less north along I-95 and affect Ft. Lauderdale and West Palm Beach in a manner somewhat similar to Miami except for slightly diminishing wind speeds with time. Power will be knocked out and debris will clutter roadways. Tall buildings may shed hazardous debris. This is as best as I can help you picture what is likely to occur in south Florida along the just east of the path of the eye of Irma.